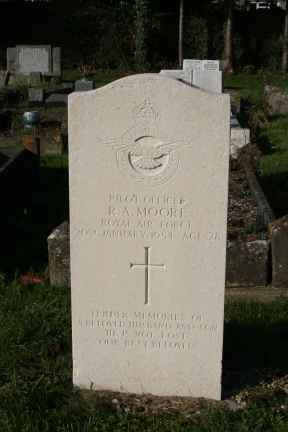 Killed in Vickers Varsity T1, WF391, of 1 Air Navigation School, RAF Hullavington. The aircraft crashed 3 miles north, north east of Hullavington when it flew into ground at night on a Blind Approach Beam System (BABS) approach. All 4 on board were killed.